Back to our tour of DT scrap spaces today...with Tracy's! 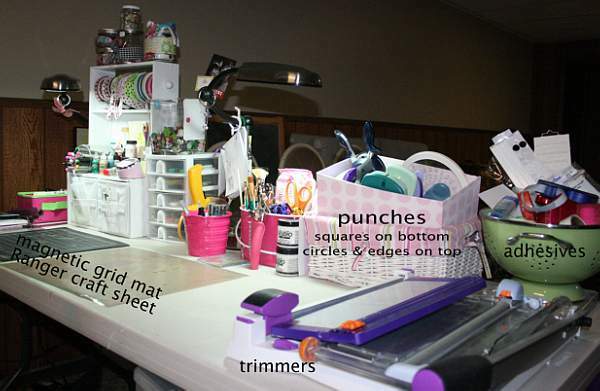 My scrap space is the basement. The part of the basement that faces the street, as in "has-no-windows"! I wish I had large windows to let the light in. My work space is made up of two folding tables that I got at Costco. The bulk of my storage are JetMax cubes from Michael`s, 12x12 Sterlite drawers from Wal Mart and a drawer unit that holds 6 Iris containers, also from Costco. I also use containers collected from here and there in various happy colours: pink, green, purple, blue. 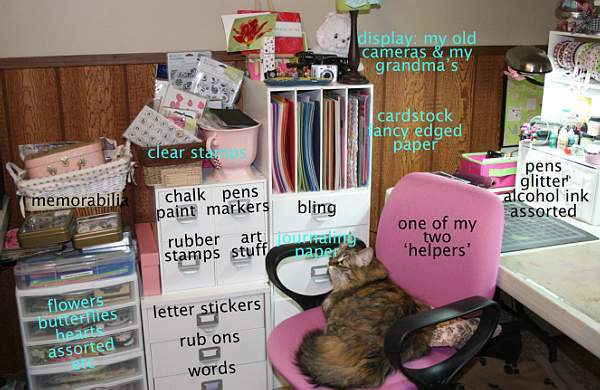 I like my main items out and easily accessible on my work space. Drawers are also good; boxes and stacking things are not. This makes for very easy clean up. 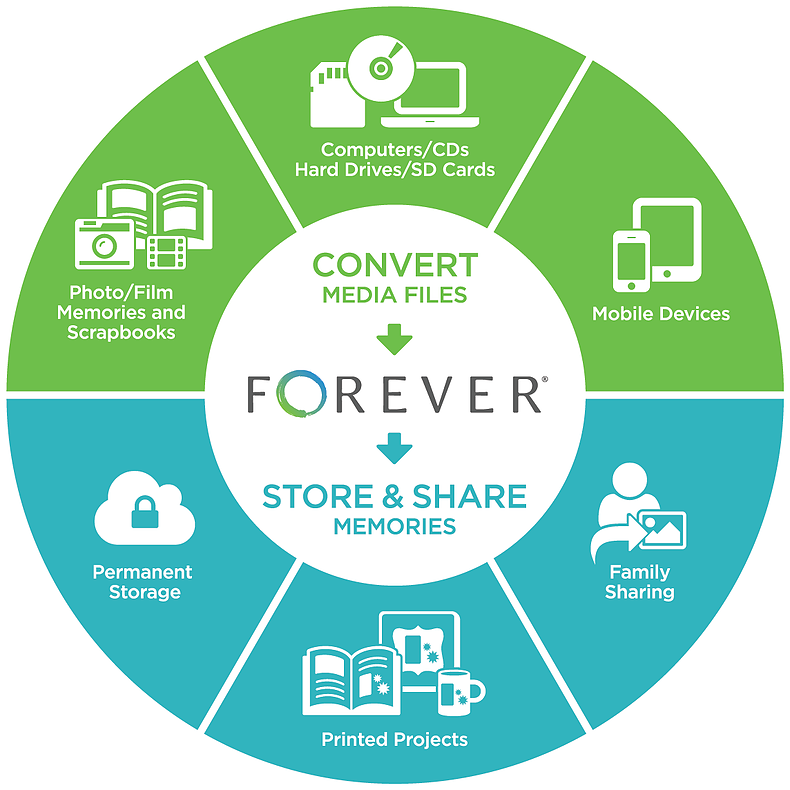 My photos are stored in 4-up photo albums and in a Sterlite shoe drawer in Stacy Julian’s Library of Memories (LOM) style. This sit on the table behind my work table. The Iris unit (aka plastic pizza boxes!) hold my themed stuff. There is one drawer for Christmas, one for Birthdays, etc. 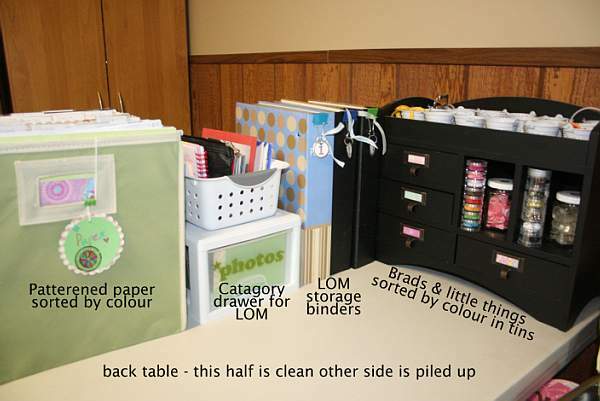 All the rest of my supplies are divided by colour (brads, ribbon, patterned paper, cardstock) or theme (letter stickers, rubons, journaling cards, bling). I almost always do handwritten journaling since it`s faster. If not though I can just go into the next room, where the office is and type something up. The office has two little basement windows. I have a spinning chair so I can easily roll around and reach things. I like that it is small enough to spin around my u-shaped area and reach everything I need. Makes it easy to do a 30 minute layout. I also have a heat dish to keep me toasty warm. There is no T.V. or music, just silence, me and my supplies. 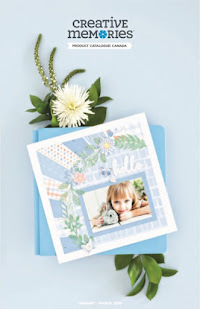 I also scrap alone as I don`t have any scrappy friends. No snacks either, I don`t want food spills or crumbs to get onto my creations. It`s also a great place to go when I want to snack, but shouldn't! I do keep some more supplies, like extra page protectors, idea books, blank cards other crafty things in the closet in the office. We want to revamp our basement - drywall over the wallboard, get a heater, paint etc. 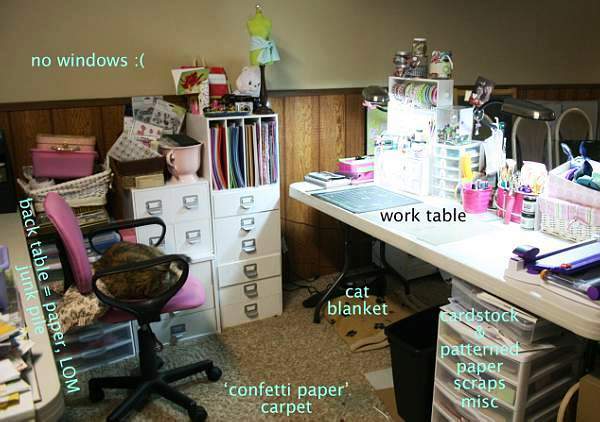 When we do this I might move my stuff to the other end of the space. I would also bring out my girls` tables, which are currently in the office, so that we can create together. Another good idea would be a large plastic office mat so that I could easily sweep up my space and no long have confetti carpet! 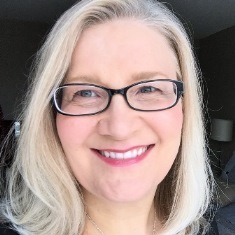 Thanks for the great ideas Tracy...so many of us have challenging basement spaces and you have given us some great ideas for storage and organization. I love the variety of containers and decorative pieces you have. And seeing your MM wall unit makes me want to go buy one RIGHT NOW! So fun! 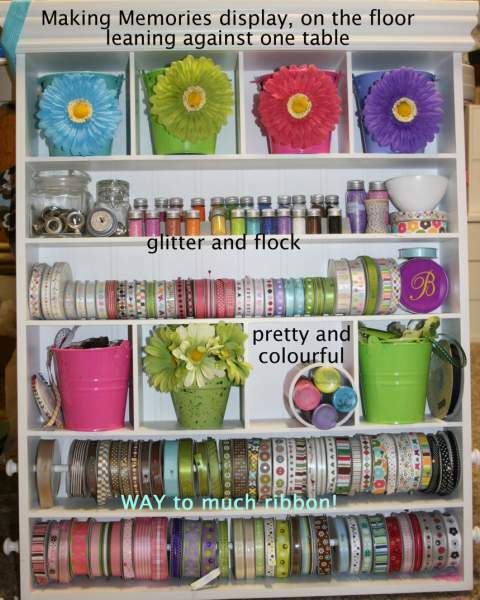 Oh, I *love* your ribbon storage!!! !